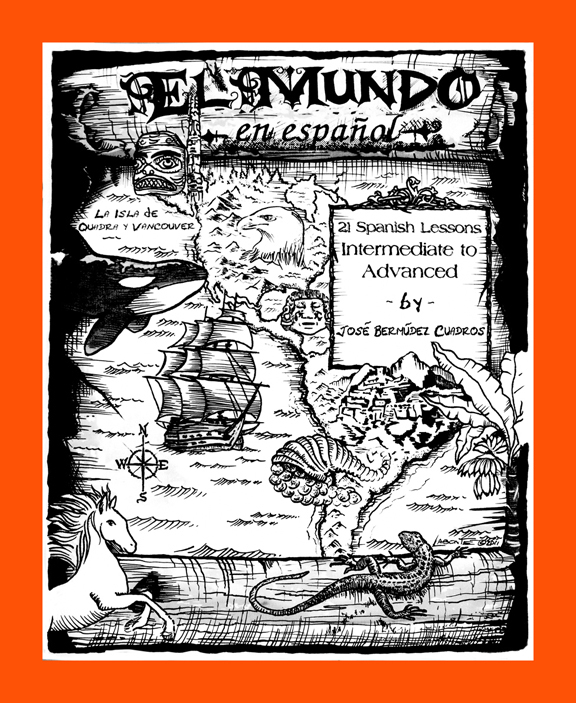 Reviving or extending your Spanish, El Mundo (Intermediate to Advanced), is designed for the students who already know some Spanish, perhaps learned through an introductionary Spanish course with the previous text El Mundo (Beginners to Intermediate), and now want to improve their language skills and to advance further. a. Through a thorough revision of the mostly used compound tenses. b. Reading and writing all the exercices provided in every lesson. c. Through an introduction to a wide selection of riddles, tongue twisters, common sayings, family of words, adjetival phrases and useful expressions that any student will find of chief importance when trying to overcome the innumerable difficulties when learning a new language. Also, it may be of interest to know that all the grammatical material, exercises and a few other features incorporated in this book, have been gathered and/or devised by the author for the benefit of the students who have worked with the programme El Mundo throughout all these years and also those who are either learning Spanish on their own. "El Mundo" (Intermediate to Advanced) - 21 Lessons.